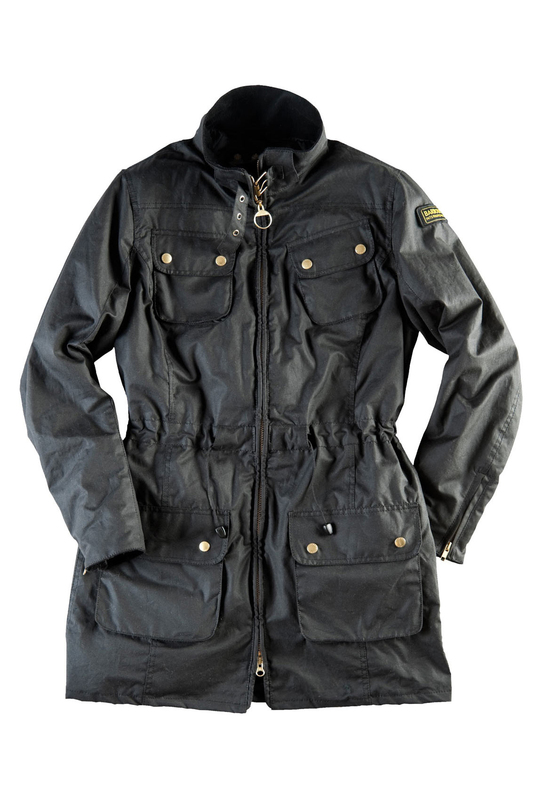 Barbour International Parka – The Perfect Dog Walking Coat? Is this the answer to my prayers? It looks like it reaches the knees, it looks like it has enough pockets to accomodate dog treats, poo bags, phone and keys and possibly a ball on a rope…..
Can I also dare to hope that it might keep out the rain for up to an hour?? The true test of a dog walking coat. I’m certainly hoping so. I have been searching and searching and I’m desperately hoping this is it. And you know what, I think it might just be…..